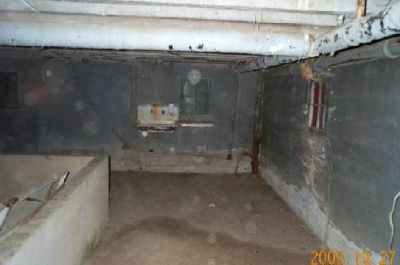 This picture was taken in the basement and the spots that showed up on the film were not visible to the naked eye. I cleaned the lens, so I am fairly confident that this is not a problem with the camera. Similar dots appear in other pictures taken in different parts of the house. The dots could be reflections of dust particles in the sunlight. Or not.